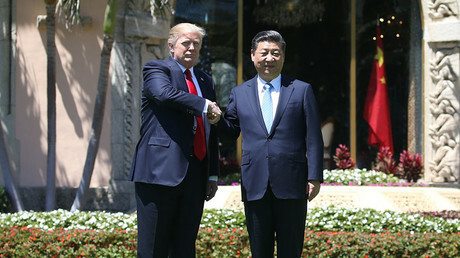 Less than a week after US President Donald Trump met with his Chinese counterpart Xi Jinping, the two leaders once again engaged on Wednesday, where among other things they discussed the North Korean threat. “We talked trade, we talked a lot of things, and I said the way you’re going to make a good trade deal is to help us with North Korea, otherwise we’re just going to go it alone, that’ll be all right too, but going it alone means going with lots of other nations,” Trump added. “China advocates to resolve the issue through peaceful means, and is willing to maintain communication and coordination with the US on the Korean Peninsula issue,” President Xi's readout said, as quoted by the Times magazine. China has already begun to apply economic pressure on the North by refusing to import Pyongyang's coal. China’s official Global Times daily said Beijing would support harsher UN sanctions against North Korea, including “strictly limiting” oil exports to Pyongyang. US-China rapprochement on the Korean issue comes after a series of Trump statements which explicitly stated that Washington might act alone if China refuses to participate in an American campaign against North Korea. Following Friday's US surprise strike on a Syrian airbase – the first American action undertaken directly against President Bashar Assad – many expressed fears that Washington may opt to strike North Korea too. US military buildup in the region suggests that direct military action against the North could be a real option for the new administration. — Yonhap News Agency (@YonhapNews) 13 апреля 2017 г. When asked by Fox on Wednesday of what his strategy is with the North, Trump said he doesn't reveal those things. “I'm not like Obama,” the US president said, criticizing the former administration for announcing plans to strike the Iraqi city of Mosul. Russia's Foreign Ministry said earlier it is deeply concerned with US policy over North Korea. Unease over North Korea is growing with fears that Pyongyang may soon conduct a sixth nuclear test, possibly to coincide with Saturday's 105th anniversary of the birth of Kim Il-sung, North Korea's founding father and grandfather of the current ruler. While China insists on a peaceful solution, Washington continues to flex its muscles in the region. 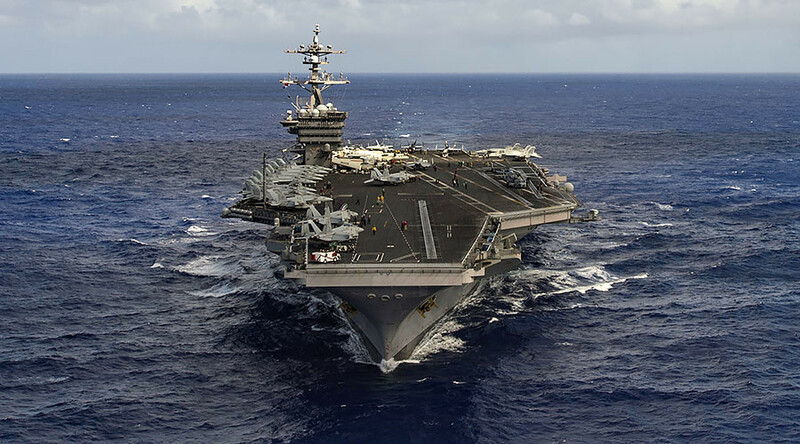 Last week Washington rerouted its Carl Vinson towards the Korean peninsula in a show of force. The US president's comments came the day after Pyongyang once again threatened to retaliate against the US and its allies. “Our revolutionary strong army is keenly watching every move by enemy elements with our nuclear sight focused on the US invasionary bases not only in South Korea and the Pacific operation theater but also in the US mainland,” North Korea's official Rodong Sinmun newspaper said. To exacerbate regional tensions even further, Japan is reportedly preparing to send several of its warships to join the US armada, informed sources told both Reuters and the Kyodo news agencies. Furthermore, Washington has sent a nuclear detection plane, the WC-135 Constant Phoenix to Kadena Air Base last Friday evening, Stars and Stripes, the official newspaper of the US Armed Forces reported. 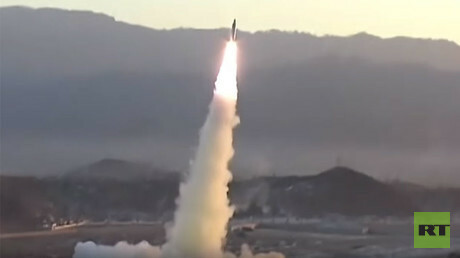 The military plane specializes in radiation detection and collects air samples and debris after nuclear detonations using external flow-through devices. Washington has allegedly sent Seal Team 6 – which killed Osama bin Laden in May 2011 – to participate in the Foal Eagle and Key Resolve exercises being conducted in the region from March 7 to April 30, JoongAng Daily reported Wednesday, citing South Korea's Ministry of National Defense. The Seal Team 6 will also be joined by the American Delta Force, which specializes in hostage rescue and counterterrorism. As part of the multinational force operation, both US special forces teams will lead a rehearsal of removing Kim Jong-un and destroying of North Korea’s nuclear weapons. “It will send a very strong message to North Korea, which is constantly carrying out military provocations,” a ministry official told JoongAng Daily.